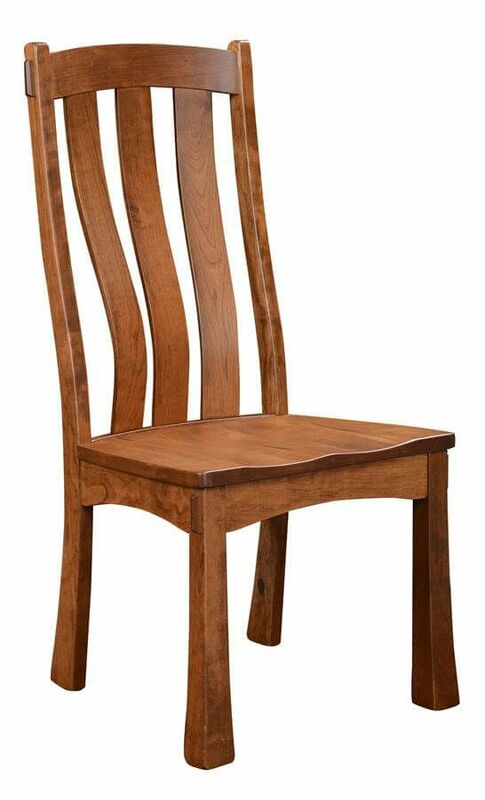 Sturdy flared feet and an arched apron give our Kaskaskia Mission Dining Chair exquisite Southwest flavor while wide steam bent slats offer comfort. 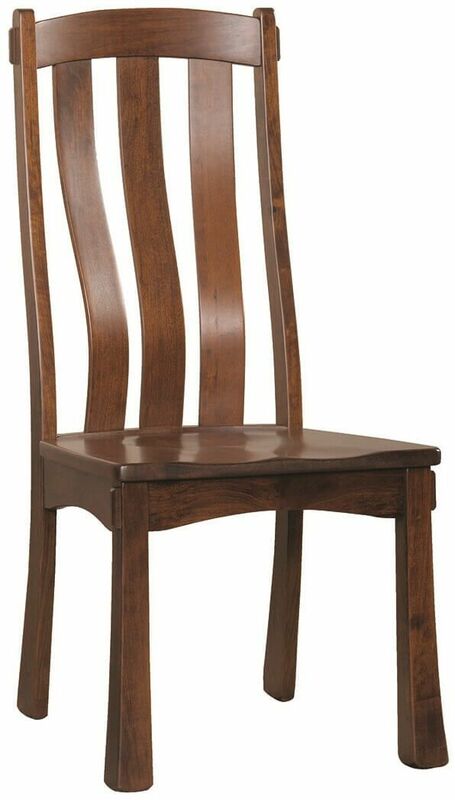 The Kaskaskia Mission dining chair has lots of appeal with a comfortable curved-slat back for lumbar support. Classic Mission lines anchor this chair firmly in the Mission genre. 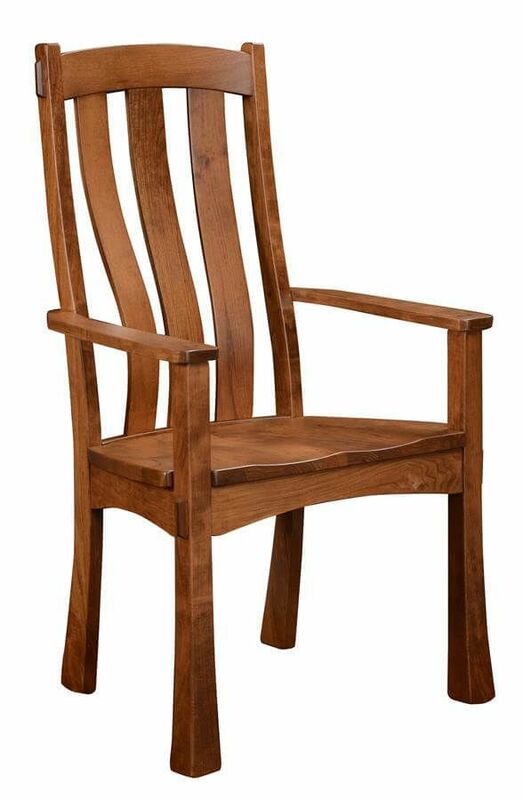 Each Kaskaskia Mission dining chair is built by hand from hand-selected solid woods, then finished with a catalyzed conversion varnish to stand up to water and wear. 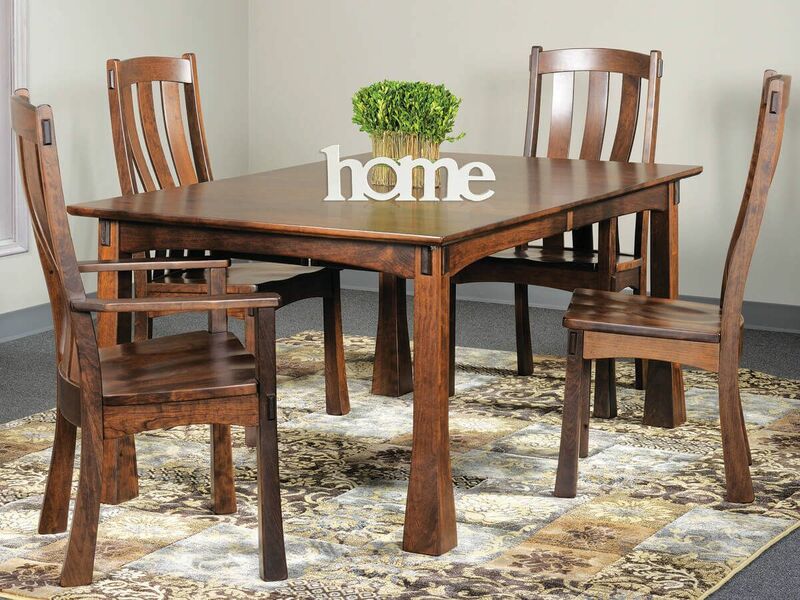 Bring your Kaskaskia Mission dining chair home when you design your own with our options menu. 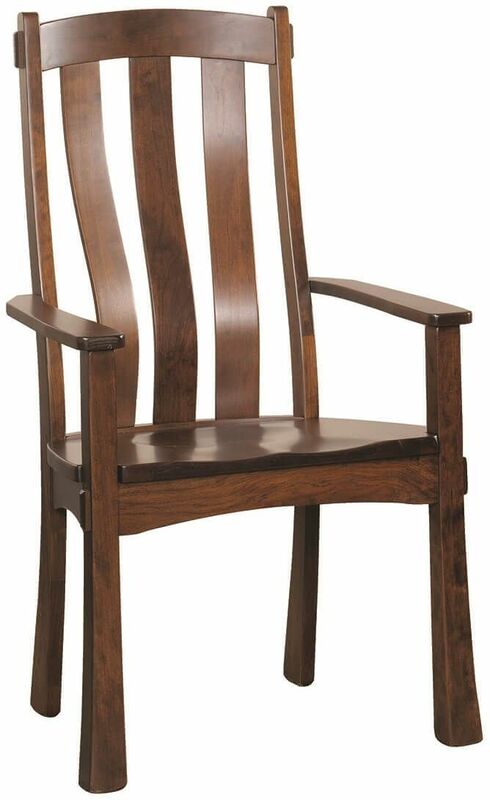 To achieve the look as pictured, select domestic Cherry as your wood type and Cinnamon Stick as your wood finish.